Cigar Shop & More in Garland welcomes you to browse their large selection of cigar brands, accessories and more. 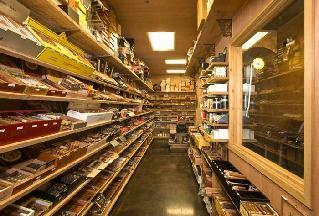 Cigar Shop and More was established in 1993 and has continuously expanded cigar lines and accessories. The store was upgraded and expanded under new ownership in 2006. Our Lounge is open to anyone purchasing in our store (got to buy it here to smoke it here). Stop in, grab a stick and a comfortable chair to relax and enjoy. We have an awesome selection of cigars, imported cigarettes and accessories. We carry most of the major brands along with a selection of the smaller boutique lines and value brands providing very diverse selection. We are here for you with great service, and competitive prices.